Leslie Eastman of Temple of Mut and I were interviewed by Silvio Canto for an hour on Blog Talk Radio. Leslie and Silvio are introducing our fellow San Diego Local Order of Bloggers authors to the Texas Blog Radio scene on Thursdays at 7 PM PST. Gun control has become a political debate due to the shooting in Aurora Colorado during the midnight showing of The Dark Knight Rises. As rhetoric flies and emotions rule the day, we would like to add some facts and information to the debate. The massacre took between sixteen and twenty minutes to unfold. That is enough time for a killer to use a bolt action rifle or a machete to kill a large number of people. In terms of conflict, twenty minutes is nearly as long as the four months it took to organize the attack with NIH funds. 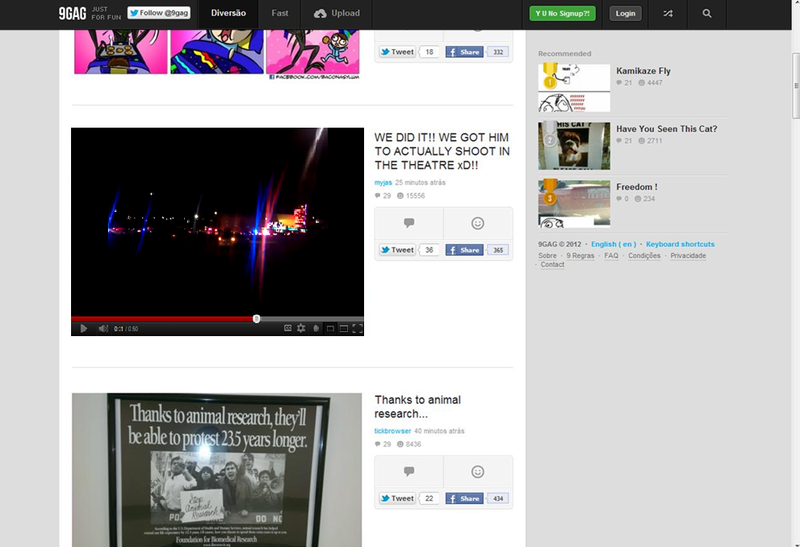 There was a church shooting four months ago in Aurora Colorado. The earlier shooting was stopped by a concealed-carry, armed church service attendee. 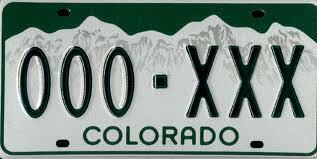 This may explain the level of protection worn by James Holmes. "Police said two vehicles ended up in the church parking lot after some sort of argument between the drivers. Police said one vehicle was chasing the other. The man who was being chased got out of his vehicle and entered the church and told people to take cover. A woman came out of the church to see what was happening in the parking lot and got shot. Police said an off-duty officer was at a service and went outside and shot the man who shot the woman"
The new media has reported this fact, but ABC, NBC and CBS have been silent so far. Many of the arguments for gun control center upon stopping crazies from acquiring weapons. As this blog has explained, the Dark Knight Rising attack was not motivated by insanity. Another argument by Bill O'Reilly on Fox News has centered around restricting "heavy weapons." Ted Nugent explains the O'Reilly argument humorously, "walk into the florist and buy a bazooka." It is a bad argument, but it allows an opportunity to tread the line next to revealing top secret weapons currently deployed. Research has uncovered that our government has a sniper rifle with 1000 meters range that does not use projectiles. A photograph of the rifle reveals a weapon that looks like a toy. It is NOT a phaser, laser or E.M.P. weapon. It was developed as a weapon to be used by our new hypersonic fighters. What if it were a phaser, or ray gun like in science fiction? On one episode of Star Trek, a single phaser was credited with killing 5,000 opponents armed with bows and arrows. Regardless, at some point traditional guns will become obsolete. The weapons that replace them will be much more deadly. Are phasers covered by the second amendment? They would definitely be classified "heavy weapons" by Mr. O'Reilly. Without them the civilian population would offer no real resistance to a tyrannical government. 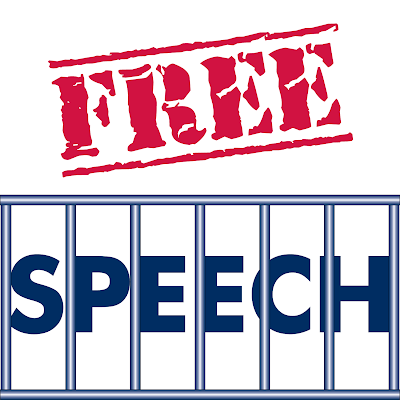 The right to free speech and representative government would quickly be intimidated into a dim memory. No person would dare oppose rule by those who could vaporize a home and entire family and leave no evidence. The last line of defense against tyranny would be erased without the second amendment. A phaser type weapon would make a modern .50 caliber machine gun look like a sling-shot. A phaser weapon used in a massacre would be unimaginably destructive. Yet, governments are run my fallible, power hungry, ambitious people who yearn for control. Tipping the balance of power drastically to the wrong side is more dangerous than a balance of power, or even a balance of terror. In Switzerland everyone is required to own an automatic weapon. Everyone is part of the militia. This is similar to our founding documents in America. Yet, the Swiss gun crime rate is so low that it no longer kept. John Cassidy of the New Yorker chimes in with some revealing perspective on the mind of the left. Mr Cassidy wonders, "Is America Crazy? Ten Reasons It Might Be. " Consider his answer if asked what he believes in contrast to these beliefs "in the category of irrationality, flakiness, nonsense, nuttiness, absurdity, craziness…"
Gun laws and gun deaths are unconnected. Private enterprise is good; public enterprise is bad. God created America and gave it a special purpose. Our health-care system is the best there is. The Founding Fathers were saintly figures who established liberty and democracy for everyone. Tax rates are too high. America is a peace-loving nation: the reason it gets involved in so many wars is that foreigners keep attacking us. Cheap energy, gasoline especially, is our birthright. Everybody else wishes they were American. Government is good; free markets are bad. Research, cures, new technology and other advancements are too expensive for an over-populated planet? The Founding Fathers were racists who wanted freedom only for themselves. No tax rates is too high, even the highest in the world. America is a war-mongering nation: the reason it gets involved in so many wars is for empire. Cheap energy, gasoline especially, is destroying the earth. Everybody else should hate Americans. The moral to the story is that no matter the dark side of freedom, it is preferable to the alternative. 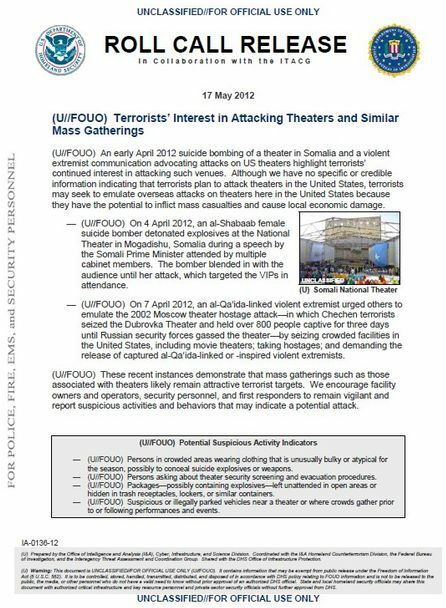 If an armed citizen had been at the theater, the attack would have ended more like the previous Aurora shooting. Even a short gun battle would have been preferable. Twenty minutes of being trapped defenseless is what led to the massacre. Armed people cannot be massacred. How comfortable is it to understand the motive to murder? It is not comfortable and most people view the world in the way which best reflects upon themselves. Facing reality and truth can be difficult for this reason. It is much easier to pigeonhole a person or event as "crazy" in order to separate it from your life and make believe that it could never happen to you. It is called denial and we all use it. 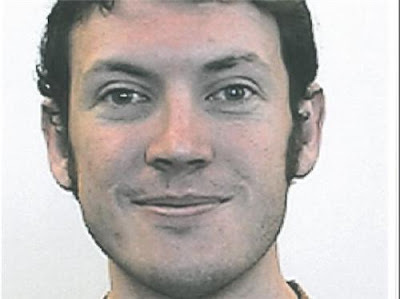 James Holmes is a homegrown terrorist not simply a "nut job". Violence, even war, is simply politics by other means. The apparent goal of the attack on the movie is to shut it down. Stifling speech and shouting down opposition is globally a common leftist political tactic. 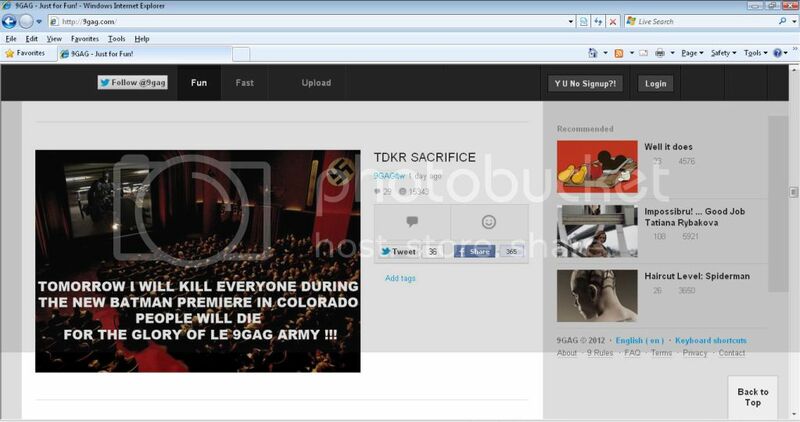 This implies that Holmes is either anti-corporate or seeks revenge against the anti-Occupy message of the movie. Thus many political people immediately look to the Occupy movement for the motive. 'He was on anti-depressants' which lead to violent behavior as your brain is depleted of chemicals responsible for 'good feelings'. It was an Obama administration plot to promote the U.N. Small Arms Treaty being pushed in the U.S. Senate. A treaty with the constitutional weight to strip away the Second Amendment right to bare arms. There is no motive and you cannot understand these types of events. These motives simply do not add up. Holmes studied neuroscience and understands that America loves movies. Attacking a movie theater hits Americans in a place of comfort, refuge and happiness. Everyone has been to a movie theater. Associating fear with a common destination is an act of terrorism. Holmes did not dress like The Joker. 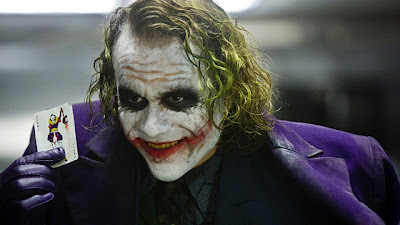 The character played by Health Ledger in the previous Dark Knight movie has yellow/green hair, and wore bright colors. Can anyone recall the character wearing a gas mask? The closest joker connection is to the video game Arkham City which takes place in an abandoned movie theater. The Monarch, outside of which Bruce Wayne's parents were killed. 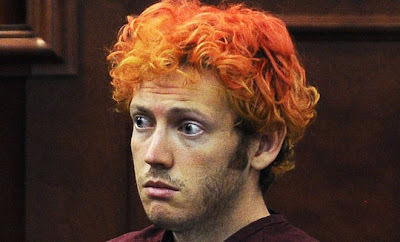 Unless the motive for the shooting is to create a real-life Batman, Holmes is not playing the movie villain. Per the Colorado legal definition of Insanity, James Holmes is not insane. Insanity is an individual legal defense. There is an eye witness report that the shooter had help. We have no information that he acted with anyone else at this time. Police Chief Oats also added "serious calculation and deliberation on his part", "the FBI has been helpful" and "investigators are working on" where the money came from. Americans have a very visual reason to associate the attack with Occupy Wall Street even if it is jumping to a conclusion. It would be naive to believe that the promoted imagery of the movement does not hold an associative meaning or strategic aim. My personal belief is that many of the occupiers share common concerns about the direction of society, the country and the world. While it may be a tea party sentiment, hopefully occupy understands freedom lost in America will soon mean its loss for all humanity. It is unimaginable to believe that the thousands of years of human struggle against slavery and rule is lost on an entire political movement. 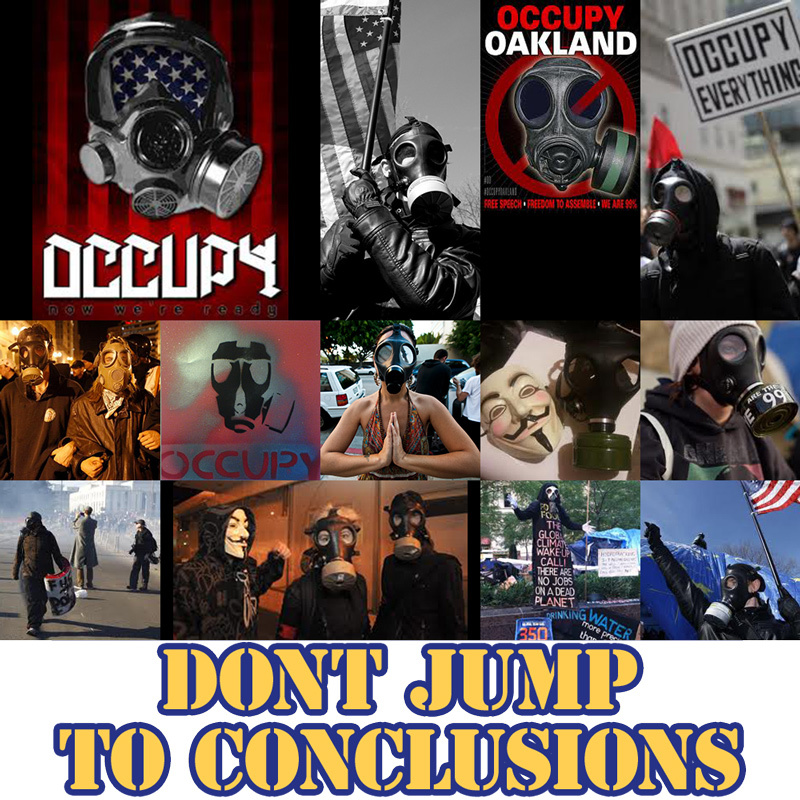 It is this belief that focuses my attention on the difference in tactics used by occupy and the tea party. Tactics that will be used by the political left to justify assaults on free speech, freedom of assembly, the right to bare arms and to promote government powered "protection from fear" in larger society. All of these goals were originally hoisted upon the peaceful members of the tea party. The difference between the two movements is the origin and branding of occupy as pro-violence. 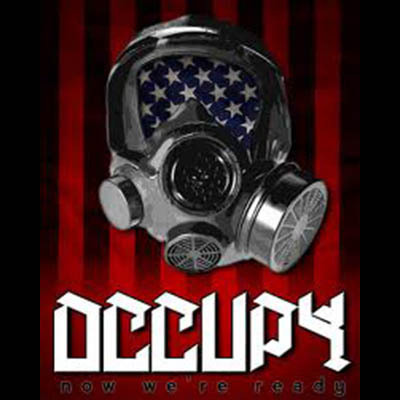 The term "Occupy" is in itself designed to incite fearful images of military forces conquering and oppressing. The real problem is in Washington. Wall Street is just a symbol used to create false hope in the belief that destroying our economic system will lead to freedom. Our individual freedom based system is the best ever conceived. 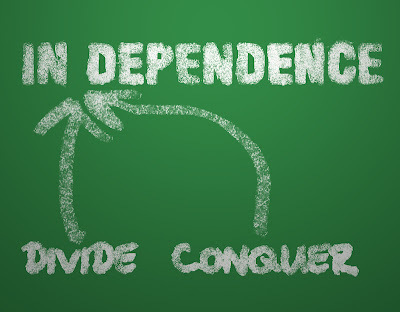 Free markets are what liberate people in order to bring real hope through economic freedom. "Taking from the rich" will only lead to everyone being poor and the loss of hope for a better life. (7/19/2012 1:35PM) Tonight at midnight the final episode of Christopher Nolan's Batman trilogy is released as Dark Knight Rises. Liberal film critics have been giving the movie bad reviews because the villain is an Occupy Wall Street type who attacks "The 1%." A cultural battle between the fans and left-wing movie critics culminated in the film review site Rotten Tomatoes suspending comments. Everyone from Rush Limbaugh to G4 television has chimed into the battle. Rush was accused by G4 of calling the film a conspiracy against Mitt Romney because the villain, who was created in the early 1990's, is named Bane. During G4's Attack of the Show, a movie reviewer pointed out that the villain was an occupier. The guest-geek host pushed the reviewer into mentioning the tea party as an evil force, ostensibly to "maintain impartiality." "I never said that the villain was created by the comic book character creator to be part of the 2012 campaign. I never said that at all. Everybody’s out there running around saying I got this giant conspiracy theory that the Batman people, the creators, the comic book creators, created this thing to campaign against Romney. I never said that. I didn’t say there was a conspiracy." The story originated this week with the Washington Examiner’s Paul Bedard, who reported that Democrats were planning to use the villain Bane, as a way to remind voters of Romney’s connection to his company, Bain Capital. Bedard quoted a Democratic strategist who suggested that “the narratives are similar: a highly intelligent villain with offshore interests and a past both are seeking to cover up who had a powerful father and is set on pillaging society." Bane's dastardly plot involves a massive transfer of wealth using the stock exchange. It consists further of inciting civil unrest and taking control of cutting-edge technologies that can be used for good or ill. Nolan's critique of Wall Street is implicit in the portrayal of the rapacious and arrogant Wall Street traders, but some uneasiness about the Occupy movement is evident, as well, in the film's depiction of people's tribunals. However, to say that the movie steers a middle course would be to impose coherence on what seems more like a scattered set of fears and impressions. While The Dark Knight Rises is currently experiencing a glowing 84% "fresh" rating on RottenTomatoes.com, the film has been deemed "rotten" by a few critics, including Marshall Fine of Hollywood & Fine, Christy Lemire of the Associated Press and Nick Pinkerton of the Village Voice. 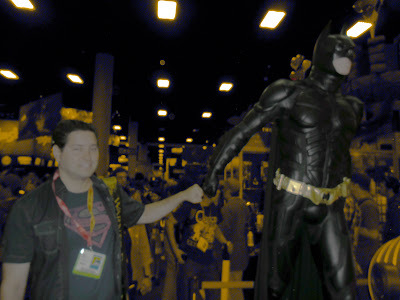 Fine lambasted Dark Knight Rises for being "nonsensical," and Lemire called it a "letdown." "As a movie writer and critic, Christy gives her opinion and we expect people will agree with some of her reviews and disagree with others," said Lou Ferrara, the AP managing editor who oversees entertainment. "It's unfortunate when the conversation turns ugly." My suggestion to tea party types, occupy types and superhero fans is to go buy tickets immediately. Update 7/22 7:05 PM: Director Christopher Nolan retweeted a comment about his intention with the DKR script. It is assumed that direct comment on the overtone of the movie would be contractually forbidden. RT @HesRobbyG: I think _Christopher_ _Nolan_ might've been trying to say something with the script he wrote.. The above graph shows the Bureau of Labor Statistic Employment-Population Ratio. You can download the information in excel format by clicking here (It is also an enclosure). The graph illustrates that President Barack Obama's economic policy of "spreading the wealth around" does not work. It is Doo Doo Economics and why this blog exists to warn the president and the American people. The graph also shows the effects of 9/11/2001. You can see how and why the Bush tax cuts were implemented. They worked and established a positive underlying economic base. Readers of this blog also recognize the impact of electing a Democrat congress in November 2006. The president's recent comment, "You didn't build that", to America's workers, inventors and entrepreneurs adds to the story. While the entire political universe is on fire about the off-teleprompter remark, two very important points have been missed. The two questions hinge on whether you believe President Obama is a dangerous and evil man, or if you believe he is misguided, incompetent or unwise. Those who think Obama is an evil man question why the left is gathering an entitlement purchased force of people. Typically, we naive conservatives believe that votes and position motivate the win-at-any-cost ideology of the left. We would be wise to consider that this force may be first used to gain power, but then be used for a much darker purpose like oppression, anarchy, or tyrannical conquest. As a mid-western conservative who believes, intentionally naively, in individual freedom, it is my duty to remind everyone that Democrats are not all liberals, blue dogs or progressives. Some Democrats are imperialists, protectionists and isolationists. They do not believe in free trade or free markets. These people argue that America should pursue its national interests to benefit the citizenry and national power. There are also Republicans who believe this. There are "green" environmentalists who would join this effort in the name of saving the planet behind the power of America. This is the American imperial base. It exists and shall be reported on in depth on this blog soon. The consequence of this power base is economic and political. 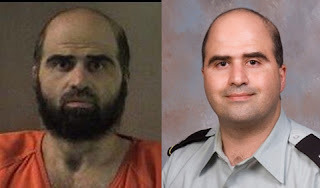 If President Obama is an evil man, this is the actual constituency behind the words-as-a-weapon propaganda facade. This is a nullifiable hypothesis from which you can investigate. Allow me to badly translate. We create and use structure to live and create using our individual freedom (lack of restriction). It is foolish to credit life and creation to structure instead of life. To be unwise in this, shows that you do not understand the builders or the people who live within the structure. A fool of this sort, no matter what his strengths, is not capable of leadership. It is possible that President Obama is a fool of this sort. If he is a good man, then maybe he rose to power before he was ready. This was the hope at the beginning of the tea party movement. The tea party wanted to warn him and America of the danger which is now graphed at the top of this post. The tea party hoped to assist the president in gaining a wisdom that is key to the success of us all. The president does not want to learn from our wisdom. This is the best argument that he is simply a fool. Unfortunately, when the foolish idealism of collectivist socialism fails it evolves into murderous fascist socialism. With that in mind, it does not matter whether President Obama is good or evil. Both paths lead to tyranny. Gilead's Truvada was approved by the Food and Drug Administration for use in preventing HIV infection in high risk groups. Gilead's former Chairman Donald H. Rumsfeld stepped down to become the Secretary of Defense for George W. Bush. In 2011, he made controversial statements regarding water-boarding and the capture of Osama Bin Laden. It remains to be seen if this "new milestone for treatment in the evolution of the worldwide AIDS epidemic," will be widely reported with details of Rumsfeld participation. Studies showed Truvada to be more than 90 percent effective at preventing HIV infection among test subjects who took the drug as prescribed, but only 44 percent effective among test populations that included intermittent use. The high cost of the drug, about $14,000 annually, may put it out of reach for many at-risk individuals. The pending ObamaCare / ObamaTax scheme could further prevent access to the drug due to a focus on cost cutting. Despite the common perception of President Obama's supporters, progressives have historically used "reproductive health" and "eugenics" to justify the removal of "undesirables" from society. The moral to this story is that our friends on the left need to think about the world in front of them. We know that the "capitalist" system reduces price in the long run. Free markets reallocate resources in favor of innovation as a disruptive force against monopoly and power. The development of this new drug is an example of the free economic system providing something of value to society due to the opportunity for success. When it comes to the race against disease, this is the best know application of human ability. Historically, reliance upon the promises of government progressives is dangerous business. Progressives are not innovators, they are self-interested propagandists. They have used false science and word play to mislead and justify their actions for hundreds of years. An example in health care is the RU-486 abortion pill developed in France with approval from politicians notorious for mistresses. The idealism of collectivism eventually collapses into the tyranny of fascism. This fact is happening in real-time as President Obama says success is not a result of someone working hard or being smart and that if you started your own business, you didn't build it yourself. The private sector development of Truvada disputes this contention on its face. Americans should keep an eye open to the sidelining of this drug because the FDA approval timing points out that the emperor has no clothes. San Diego hosts Comic-Con, a pop-culture festival encompassing games, movies, television, art and comic books. Jay Leno and other comedians are not in attendance. The draw is largely the other attendees who spend tremendous effort to attend the convention in costume as their favorite character. You would think that a rebelliousness would infuse the convention, but surprisingly you would be wrong. 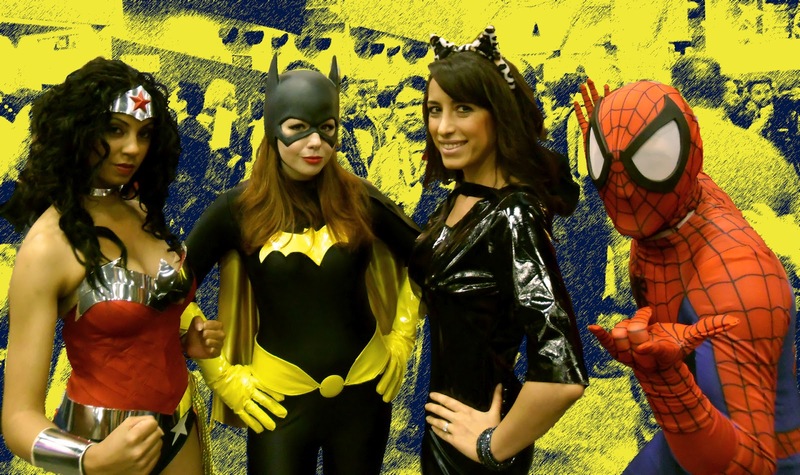 It could be the scantily clad women dressed as Wonder Woman or other female heroes who hold the attention of the attendees. It could be the innate politeness of nerds. Whatever the reason is, the immense crowd is very well behaved. Among the zombies and villains are religious groups making attempts to recruit young souls. These groups patrol the trolley and stand outside the convention at crowded intersections. Comic-Con has security to check toy weapons and ensure that everyone entering has a pass. Police are also on hand, but mostly relegated to checking that toy guns have orange barrels outside the event. In California, there is no longer an open carry law and the right to bare arms with a concealed-carry permit is virtually non-existent. This makes policing the population of law abiding citizens a little less stressful for the police, but makes policing SDCC farcical. Toy weapons are everywhere. It was even a point of debate in the masquerade ball waiting line as many participants are from Texas, Arizona and other less totalitarian states. The debate started as police threatened to confiscate hand-made and other valuable replica weapons to the horror of all in attendance. One member of the Galactic Empires' 501st Legion, otherwise known as "Vader's Fist" had grown too hot for his tie-fighter pilot outfit and changed into a Harry Potter wizard, complete with lighted wand. He was an ardent opponent of gun rights for the public. A very typical "lawful" point of view, which he defended by saying that we didn't want to become "like Arizona, where people can bring guns into a bar and get drunk." It is my guess that he is a former prosecutor or other city attorney. He mentioned that you "should never shoot a police officer" as they are "peace officers" in response to a question from a nerdy teenager about what to do if a police officer were to go bad and start shooting people. The Imperial trooper then took a photo in which he used his wand to eliminate an opponent. It was awesome. It was apparent that the young, superhero-worshipers were disgusted by the attitude of California toward our constitutional right to bare arms. Being a political person, the fact that the government derives its powers from the people and cannot hold rights that American citizens do not hold, escaped my mouth. It comforted the young nerds to hear opposition. The conversation then turned to our nation's past as an English colony when I added that current restrictions on firearms may end in the disarmament of the police as is typical in England. You simply cannot vilify guns and then expect voters to forget that the people with the guns make the rules. Gun ban, I had no choice! The moral to the story is that the Empire wants your gun rights which is a perfect segway to the U.N. Small Arms Treaty debate. Snopes and FactCheck.org have both rallied against an email that threatens a civil war over the U.N. treaty. It is a typically dishonest way to address the debate. 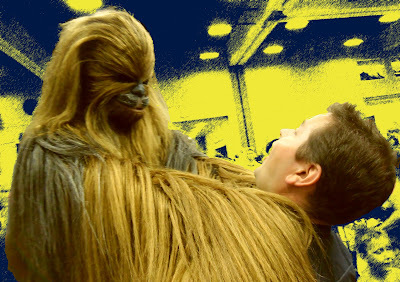 Someone should let them know not to mess with a wookie. There are many like me, and fewer of them would be alive today were it not for exercise of their gun rights. In fact law-abiding citizens in America used guns in self-defense 2.5 million times during 1993 (about 6,850 times per day), and actually shot and killed 2 1/2 times as many criminals as police did (1,527 to 606). Those civilian self-defense shootings resulted in less than 1/5th as many incidents as police where an innocent person was mistakenly identified as a criminal (2% versus 11%). Just how effectively have gun bans worked to make citizens safer in other countries? Take the number of home break-ins while residents are present as an indication. In Canada and Britain, both with tough gun-control laws, nearly half of all burglaries occur when residents are present. But in the U.S. where many households are armed, only about 13% happen when someone is home. Let me be the first to welcome economist Paul Krugman, Ph.D. to the tea party. Paul Krugman is a well-known Keynesian economist. He won a Nobel Prize for his work in microeconomics and his latest book was reviewed by a global group of economists recently. For the past several years, Dr. Krugman has been a champion of government spending and the Obama porkulus bill. He has called the tea party every slanderous name in the book. Fellow SLOBs author W.C Varones brought the following video clip to my attention and it begs repeating. At the 1hr 12minute mark, Dr. Krugman explains why Keynesian policies do not necessarily lead to bigger government. You do need to think about the political economy, very much. I thought we just had a rather dramatic refutation of the notion that fiscal stimulus leads to a permanent increase in spending. Certainly in the United States, when the original inadequate Obama Recovery Act was proposed there were many people wisely saying "Oh, that spending will never go away." None of it remained. We had a moderate program of infrastructure spending, has not been renewed. We had moderate aid to state and local governments, it has expired. We even had a withdrawal of extended unemployment benefits despite the fact that we continue to have a record number of long term unemployed. So there has been no hint at all of these things turning into permanent government programs. On the contrary, the actual way that the political dynamics work was that the stimulus was withdrawn much too soon. So maybe that is an exceptional story, but certainly this time around the wisdom about what always happens with government increases in spending turns out to be 100% wrong. 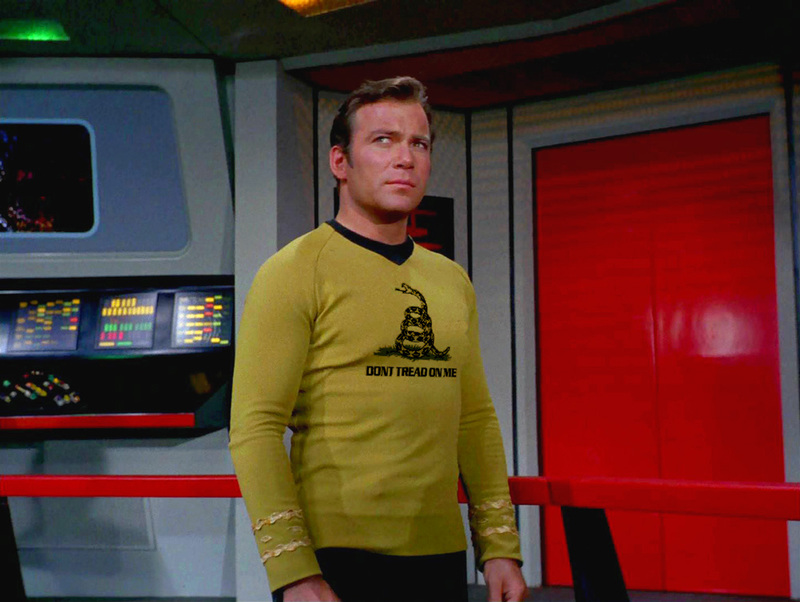 Yes, thanks to the tea party, the porkulus did not become a permanent government program. John Maynard Keynes theory of increased government spending during a recession and austerity during prosperity has been implemented. Politicians, who in almost every other example of Keynesian policy application in human history have used the interventionism to increase dependence on the government, were thwarted. The correct economic principle was applied thanks to the tea party and is now used as a shining example to the world by even our once venomous opponent. YouTube.com link (#forward to 1 hour and 12 minutes). This little nugget of truth is also evidence that when applied correctly, Keynesian policies still do not work. Sure, Dr. Krugman will say that it was not perfectly implemented. However, in the real world, this is as close to perfect application of economic theory as you will ever find. You have to admit, even if you disagree with us, that we tea party types know our economics. Here is a simple game to replace the "tired, old" games of the past. "Rock Paper Scissors" is played by children and young adults so I decided to put a patriot spin on it. 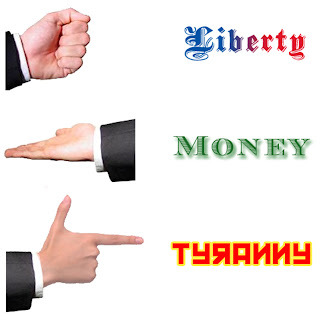 Introducing "Liberty Tyranny Money" the game. On this Independence Day, allow me to share an email which I wrote to our local SoCal Tax Revolt Coalition and San Diego Local Order of Bloggers. It is meant to remind everyone that we live in an age of heroes. Some of the unsung heroes are the women of the tea party. They fight like momma grizzlies to protect our way of life. No, we count on you to give our words life! I would like to take the time to remind everyone how lucky we are to have the women of the tea party movement. Everyone needs encouragement to pursue our passions and dreams. We who can look to our partners for encouragement are blessed. We men, who strongly believe in freedom and our republic are too often dissuaded for fear of looking brash, ungentlemanly and angry. We rely on the encouragement of those we love. Many political movements in America's history have been championed by women. The women of the tea party are another shining example of great American heroes. It is hard for me to imagine even a fraction of the success we have all shared without them. As upsetting as the news has been, we still have hope. Without all of our combined efforts, the world would be facing a much darker future. "A single twig breaks, but the bundle of twigs is strong." (Tecumseh) It is obvious, in my eyes, what bundles us together. This is just a reminder that "progressives" are taking our country backwards and not FORWARD. It is clear that ObamaCare/ObamaTax is designed to force people off their employer sponsored plans and onto an eventual socialized single payer plan. This single plan is the equivalent of the famous Model T Ford. It came in any color, as long as it was black.